Palau Travel Guide - Travel to Palau, as it's a literal PARADISE on Earth! Pardon the cliche, but Palau is literally a piece of paradise on earth. We have been to and SCUBA dived in El Nido in the Philippines, the Tubbataha Reef Natural Park in the middle of the Sulu Sea as well throughout the Southern Atolls of Maldives. And in spite of having experienced those amazing places, we are both now convinced, our travel to Palau afforded us the most pristine wildlife we’ve ever seen, the most laid back island culture we’ve ever encountered and the best value tropical paradise experience we’ve yet to find. If you are keen to SCUBA dive in Palau, check out our Palau SCUBA diving guide, as well as our Carp Island Resort review, the place we stayed. We highly recommend you get to Palau just as soon as you can! You’ll NOT be disappointed, and if you’re anything like us, you’ll be planning your next trip to Palau before your first one has ended. At the time of writing, there are direct flights to Palau from Taipei, Seoul, Guam and Tokyo. No matter where you’re coming from you will want to fly to Koror Airport (airport code ROR). 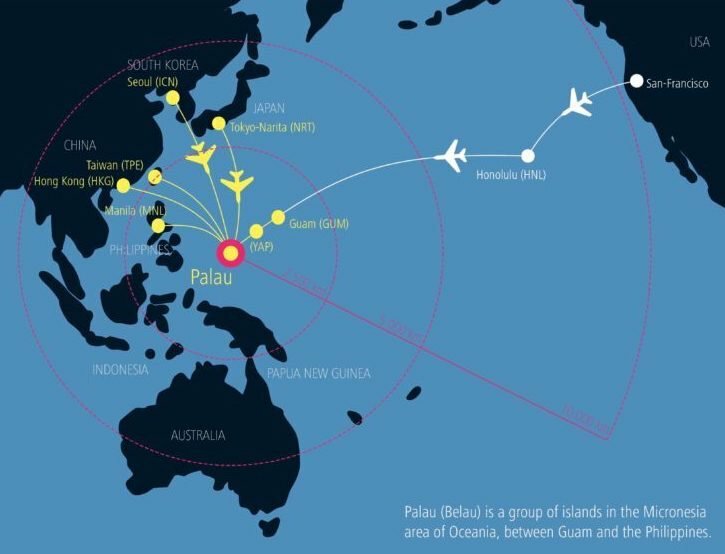 From anywhere else, the flights to travel to Palau are not direct. 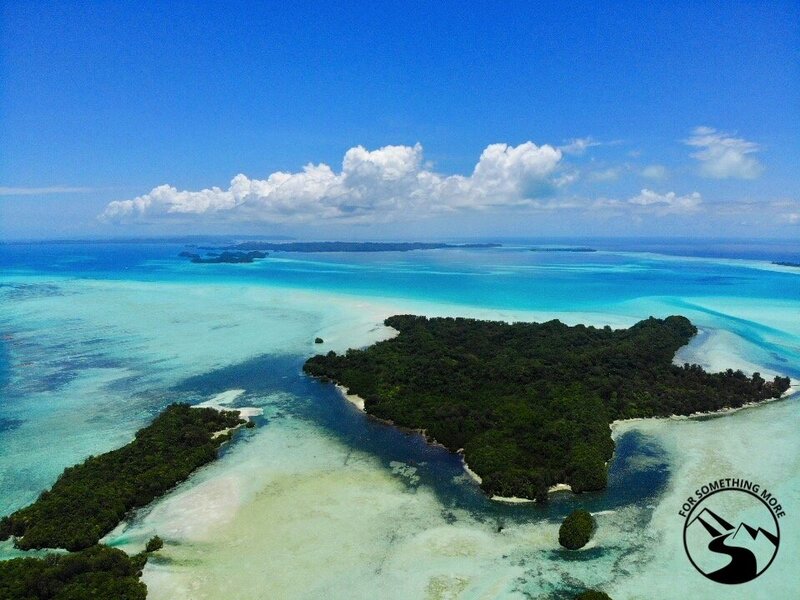 Getting to Palau should be the least of your concerns however, because once you arrive, you’ll be in pure paradise! The Palau airport is quite small. Don’t plan on sleeping in the airport either, as there aren’t any soft spots to sleep. Even putting out a mat on the floor would be a bit out of place. If you have a flight that arrives early in the morning, and you only need to kill a few hours before your accommodation picks you up at the airport, consider staying at the airport lounge – The Ocean View Lounge. Sadly, we didn’t learn about this airport lounge until the end of our trip, so we spent our first night, from ~200AM to ~630AM, crashing on the lobby sofas of the Airai Water Paradise Hotel. 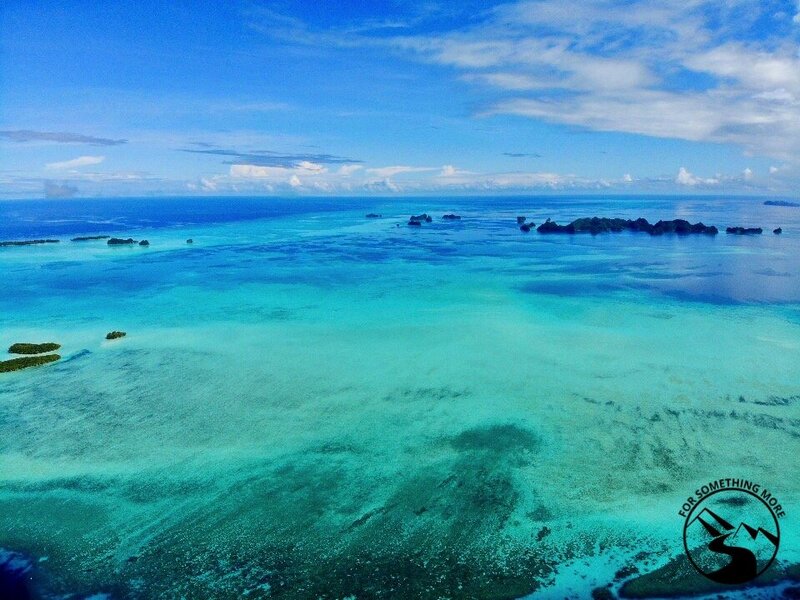 When you depart from Palau, you’ll have to pay an environmental conservation fee of US$100.00. There is an ATM in the airport, if you’d like to pay in cash, or alternatively you can use any major credit card. If you’re looking for the warmest and calmest waters, the best time to travel to Palau is from December to March. 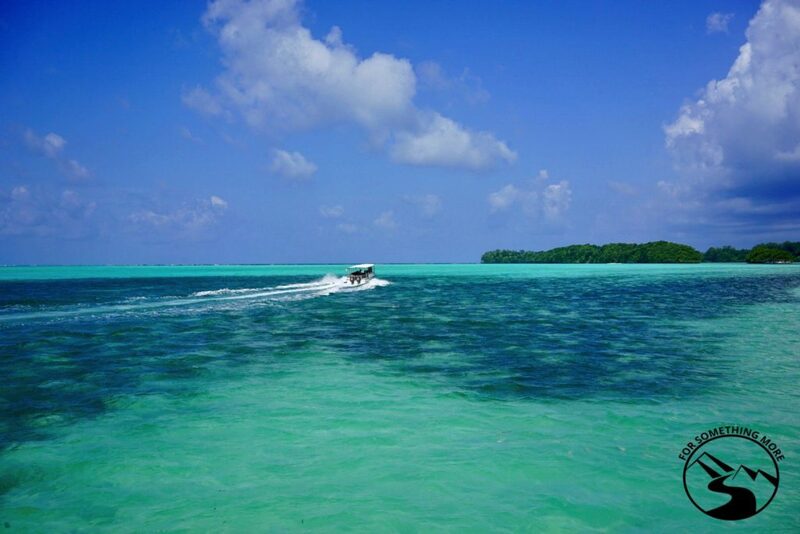 However, these are also the months in which the accommodations are a bit pricier and the dive sites a bit more crowded. Palau’s low to mid season is April to November. 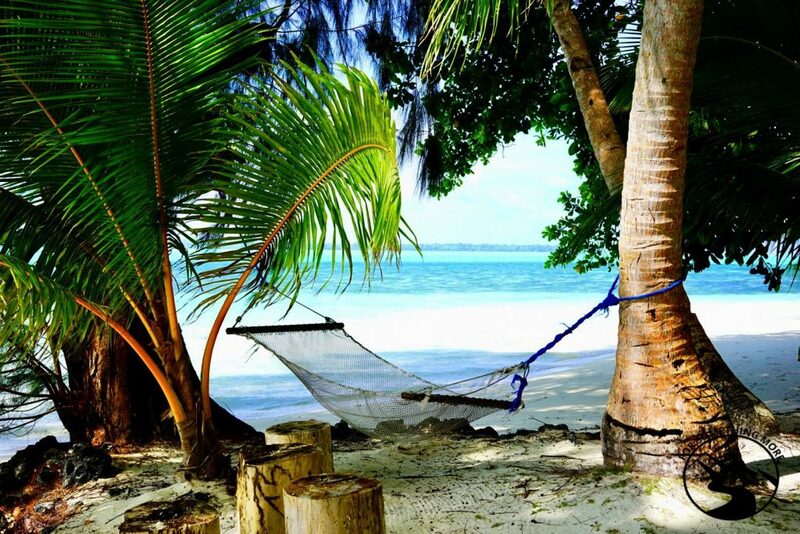 The main question you’ll have to consider is – Do you want to stay on the main Island, Koror, or on an outlying island? Staying in Koror means you’ll be on the most developed island in Palau. 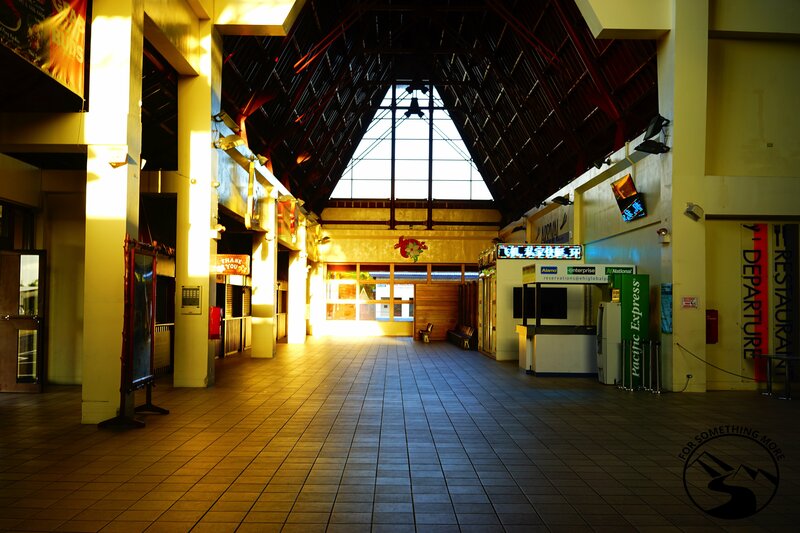 It’s got a busy downtown area filled with restaurants, convenience stores, bars, gift shops, gas stations, banks, etc. Think about the things you’d expect to find in a small city, and it’s likely you’ll find it in Koror. With that said, staying in Koror will allow you to explore different restaurants for breakfast, lunch or dinner, and will allow you to leave your accommodation at will. If you want to stay in Koror but escape the hustle bustle of the downtown city area, consider staying at M&A Eco Beach Bungalows. If you stay in Koror, yet you want to SCUBA dive, you’ll have a 35-45 minute boat ride, each way, each day, to the dive sites. Check out our Palau SCUBA diving guide for all you’ll need to have a great time diving here! If you decide to stay on an outlying island (this is what we decided to do), you’ll indeed have less choices and freedom of movement, but you’ll be smack dab in the middle of the pristine tropical paradise that is Palau. Staying on an outlying island allows you to be located a few minutes boat ride from some of the most famous dive sites in Palau. There are three main outlying island resorts in Palau, although there are certainly other places to stay too. 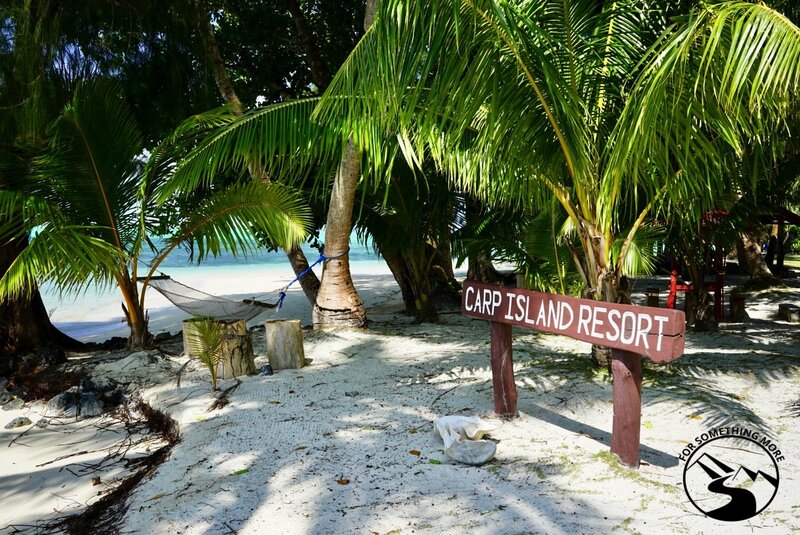 We stayed at the Carp Island Resort, and we highly recommend it. 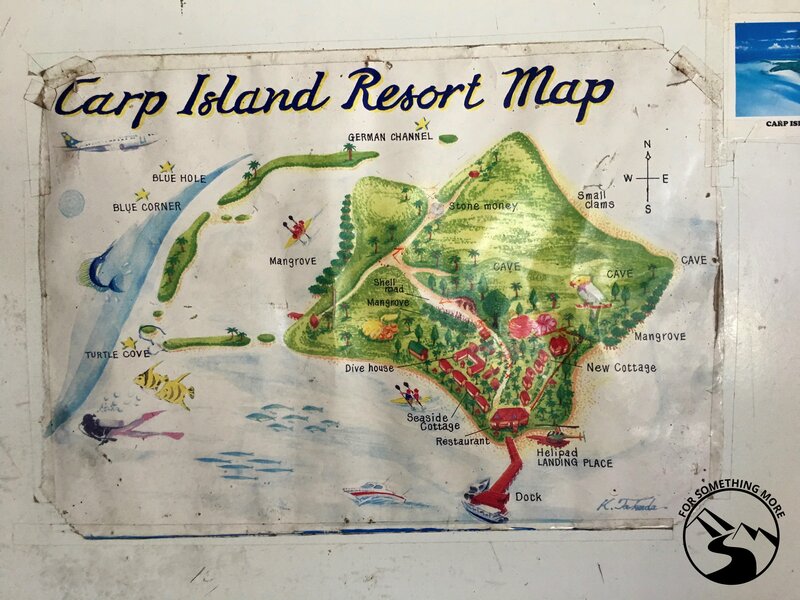 Check out our Carp Island Resort review and our Carp Island Resort video tour for our reasons why as well as all the details you’ll need to get the booking process started (it was a little tricky). As an aside, we are NOT affiliates with Carp Island, we just had a really good time there! The other two resorts are the Dolphin Bay Resort and the Storyboard Beach Resort, both located slightly south of Carp Island, in Peleliu. The following information is for reference only. It may NOT be up to date, so contact each resort directly for the most up to date information. The last accommodation option you have in Palau is to stay on a liveaboard boat. You can find plenty of live aboard options at liveaboard.com. 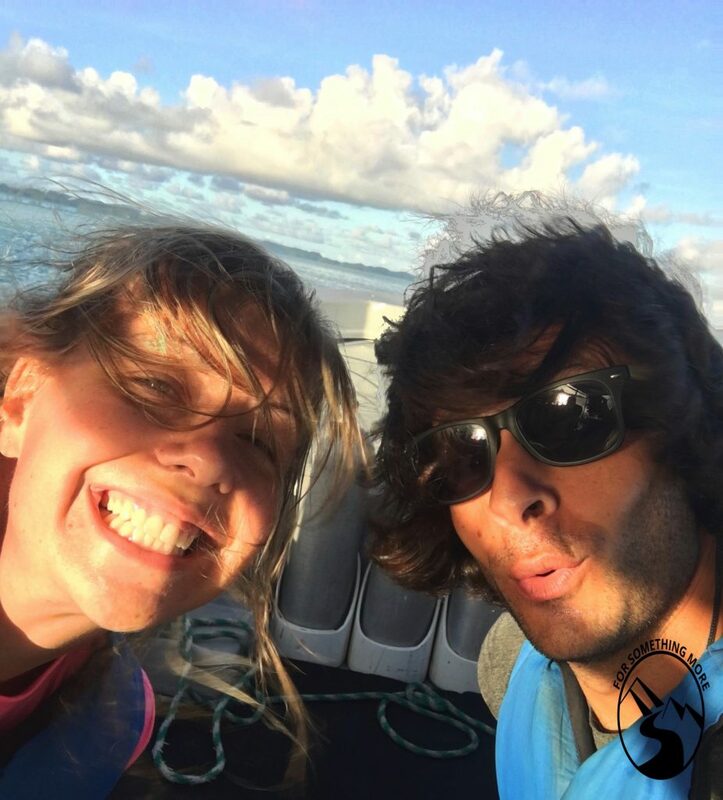 We have stayed on live aboard boats before, and our main reason has been to access remote dive sites such as the ones we dove at in the middle of the Sulu Sea in the Tubbataha Reef National Park, where we were 12 hours away from the nearest land. 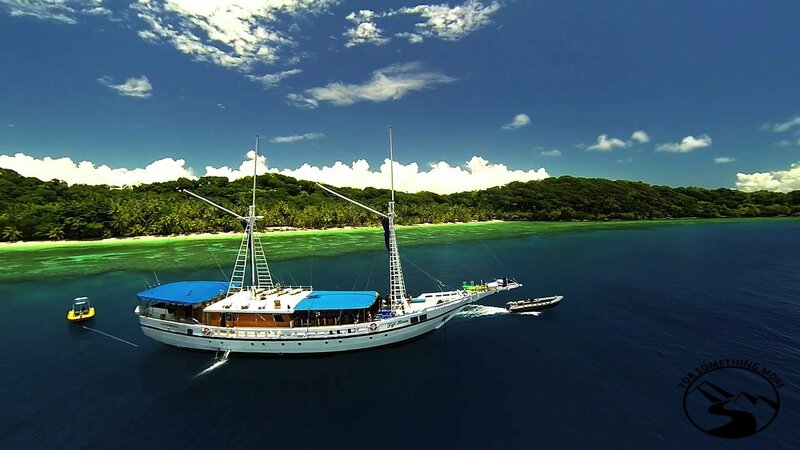 In the case of Palau, you do not need to stay on a live aboard to access the best dive sites. Check out our Palau SCUBA diving guide for all the details about diving in this marvelous place. The main reasons folks stay on live aboard boats in Palau are (1) so they can have the “cruise experience” and (2) so they can access the pinnacle of luxury accommodation in Palau, which is difficult to find at most accommodations typical to Palau. Generally speaking, you’ll want to bring anything you would want on a deserted tropical island. Here is what we brought. Ask your accommodation if they provide bug netting for your bed. If they do, you’re all set. If they don’t, consider bringing some of your own. During our travel to Palau, we had only minor problems with bugs, but if you’re extra sensitive to bugs, you’ll want to be adequately prepared. On the topic of bugs, bring along a bit of bug spray. Any type will do. We prefer something with a good bit of DEET in it, especially since we seldom apply it to our skin, and instead put it on our clothing. It got a little chilly on the island at night, so it was nice to have a wind breaking layer. To this end, no matter where we travel, we never leave home without our rain jackets. They are lightweight, compactable, and always give us a little extra warmth if it’s windy. I use this Marmot raincoat and Julia uses this Marmot raincoat (it’s the same as mine, just cut for women). * When you travel to Palau, I definitely recommend you bring a raincoat. Another item we seldom leave home without is our insulated reusable water bottle. It was great to have on the plane ride over, and since it was insulated, it was nice to use it for some to-go coffee in the AM and some cold water in the afternoon. If you stay on an outlying island or liveaboard, stock up on snacks before you leave Koror. You’ll be able to buy a variety of dry and perishable goods at any grocery store in Koror, and doing so will help you save some money by NOT having to pay the inflated prices for snacks on the outlying island or liveaboard. Again, buying anything from a resort that is located on a remote island means the things you buy will be EXPENSIVE. Especially alcohol. In Palau, each person is allowed to import 1 bottle of liquor, so you can bring your favorite from home. Alternatively, you can buy alcohol from a shop in Koror. However, again, if you want to save some money, try your best to NOT buy alcohol from the shop on your outlying island resort. When you travel to Palau, whether you stay in Koror, or on an outlying island or even on a liveaboard, there are a plethora of things to do. 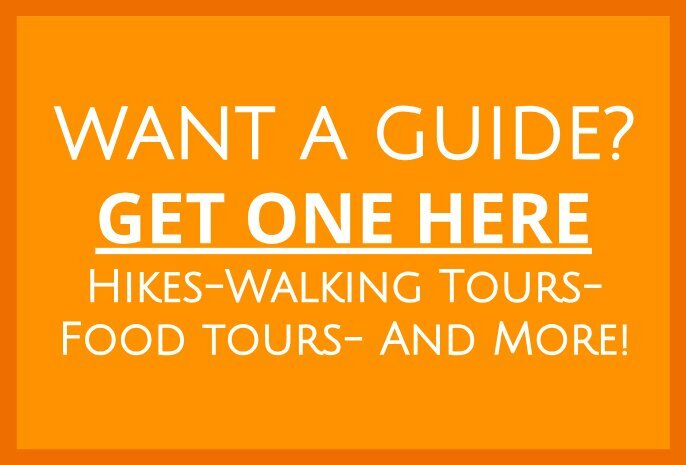 Most resorts offer all of these activities, so make sure to ask about your options. Of course, you could simply lay on the beach and sunbathe, but that’s a given when you travel to Palau! 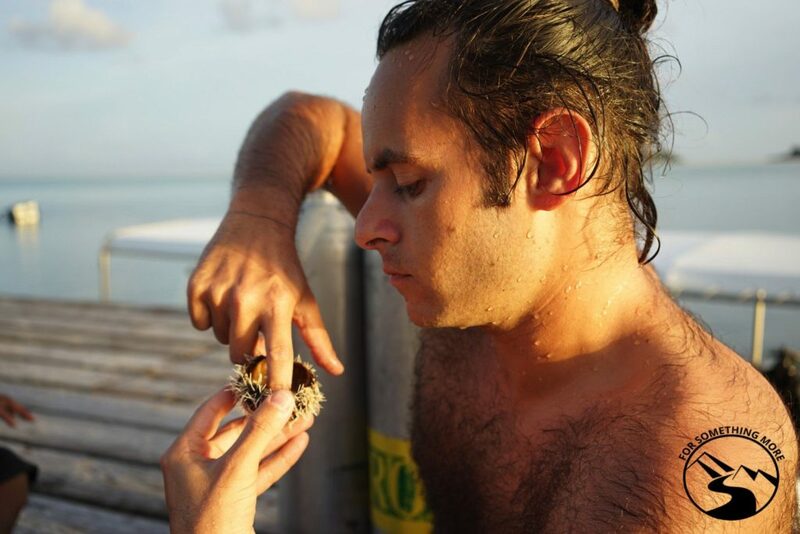 We will start with the low hanging fruit – SCUBA diving. It almost need not be said, but when you travel to Palau, you’ll be able to do some fantastic SCUBA diving. From encounters with manta rays, to an overwhelming number of turtles and reef sharks to burstingly colorful coral reefs, you’ll not be disappointed with a SCUBA safari in Palau. Again, check out our Palau SCUBA diving guide for all the info you’ll need on this front. It logically follows, if the SCUBA diving is excellent, so too is the snorkeling. During our travel to Palau, we met snorkelers who, in a single snorkeling session, saw 4 manta rays, nearly a dozen sharks, and again, LOTS of turtles. If you’re keen for something on the more active side, there are plenty of opportunities to go sea kayaking. 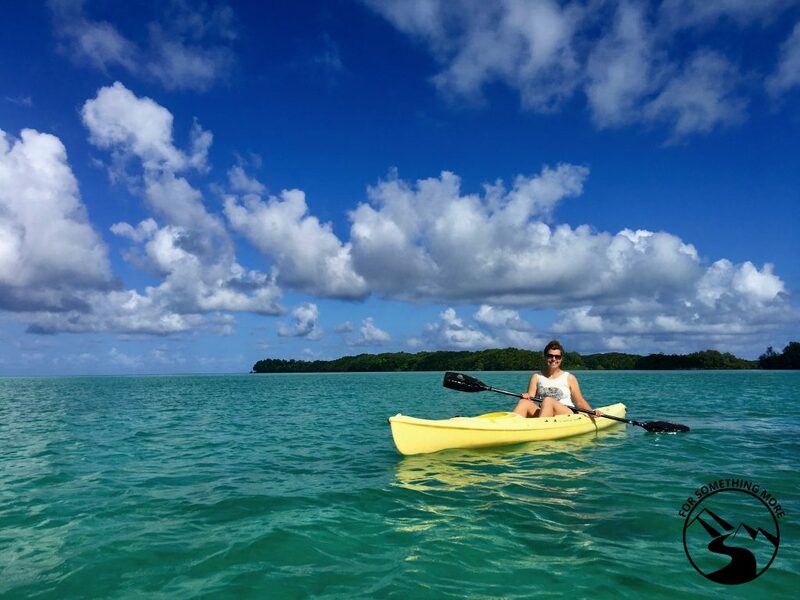 From kayaking day tours to overnight kayak tours, if you want to kayak in Palau, you’ll not be short of options. 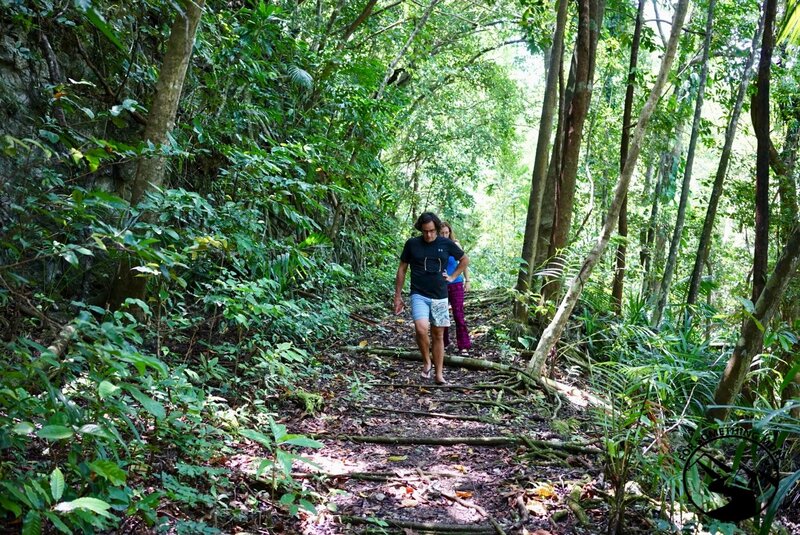 A jungle tour is sure to be interesting, just watch out for snakes! Of course, once you’re back on land, you might want to explore the lush tropical jungles Palau has to offer, so why not take an off road jungle tour? Palau’s Rock Islands are stunning! If you’re looking for a more relaxed day of lounging on a boat and having a nice picnic on an island somewhere out in the cerulean blue waters of Palau, you should consider taking an island hopping tour. 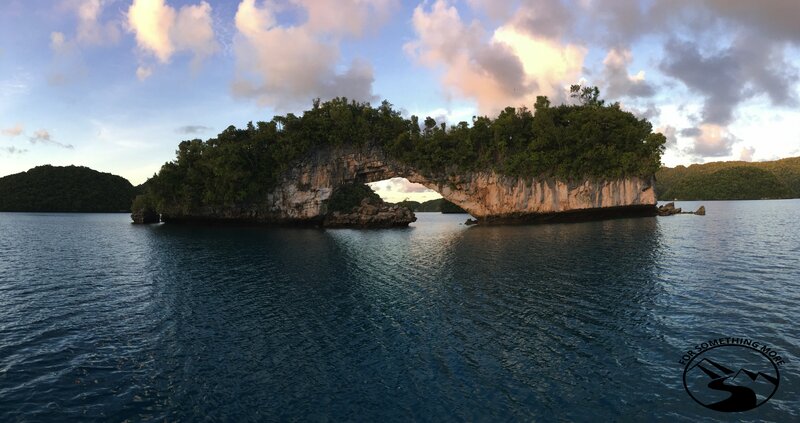 Touring the Rock Islands is the most popular option, but there are other sites such as the Natural Arch, pictured below that are also nice to see. Whether you’re an experienced fisherwoman or just starting out, there are a number of fishing tours to choose from. Last but certainly not least, the birdwatching in Palau is SPECTACULAR. While we didn’t set out on a tour to do this, we saw TONS of beautiful birds on our own. So, if you go on a birdwatching tour, it’s sure to be a memorable experience. Palau is TONS of fun! Definitely check it out! Palau is a TON of fun!!! By now, you know how to get to Palau, what there is to do there and where you can stay. So, all you need to do is craft your own off the beaten path adventure travel experience in this spectacular place! If you’re keen to travel to Palau and stay where we did, at Carp Island, check out our Carp Island Resort review, and if you’re planning on doing any diving while you’re there, make sure to check out our Palau SCUBA diving guide. And, while you’re in this part of the world, if you have the time, why not check out another tropical paradise in the Philippines?! Our El Nido travel guide as well as one guide to arguably the best place to dive in the world, Tubbataha Reef National Park, should give you plenty of ideas for your next adventure! 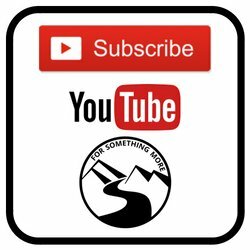 Whatever you decide to do, feel free to drop us a line here, or leave us a comment below letting us know what you think about all of this!